Hexus has teamed up with iiyama to gift a couple of their fans with brand new gaming monitors! 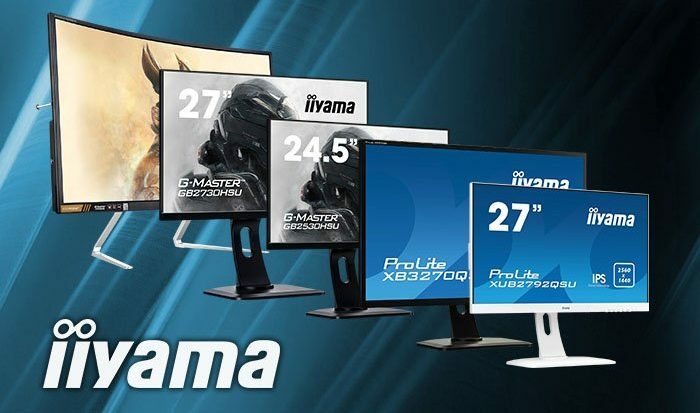 To enter in their latest iiyama G-Master and Proline Gaming Monitors Giveawaygrab your free entries by following few simple steps listed down below! Stylish ultra-flat front design makes the ProLite XUB2792QSU perfect for multi-monitor set-ups. The IPS panel technology offers accurate and consistent colour reproduction with wide viewing angles and the WQHD (2560 x 1440) resolution means the XUB2792QSU can accommodate almost 77% more information on the screen than a Full HD display. High contrast and brightness values guarantee the monitor will provide excellent performance for photographic and web design, and the height adjustable stand ensures you can easily adjust the screen position to your preferences. It is a great choice for both multi-monitor Digital Signage and office applications. The winners will be notified via email by November 22, 2018. The winner must claim their prize within 7 days of the promoter sending notification.